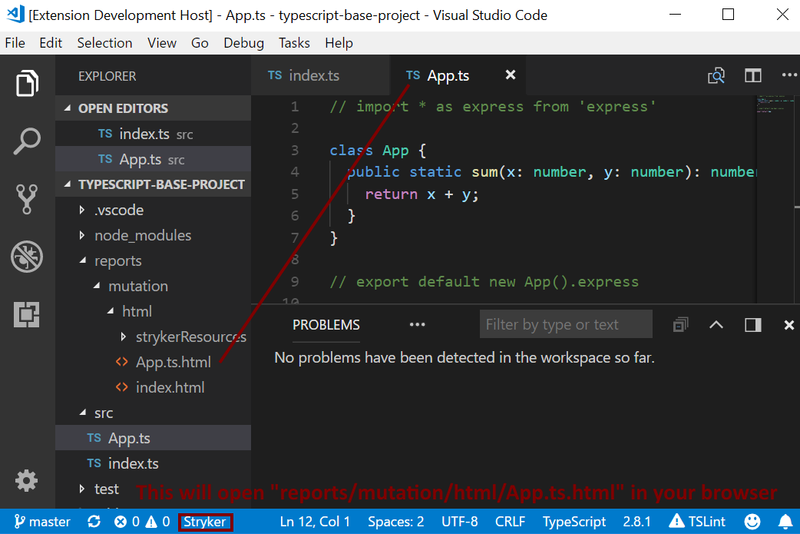 Visual Studio Code>Other>open-stryker-reportNew to Visual Studio Code? Get it now. Opens html reports generated by Stryker in your default browser. Opens the Stryker html report in your browser that matches the file you are currently working on. If no match is found then the default reports/mutation/html/index.html file is opened instead. Updated logic to check for the existence of reports/mutation/html. If it does not exist an info box pops up reminding the user to mutate their code. Removed displeasing visual artificats from logo.